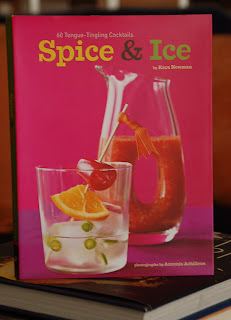 Kara Newman's cocktail book Spice & Ice was a wonderful discovery several months ago and may be the only drink book of its kind. The heading is appropriately titled "60 Tongue-Tingling Cocktails" with recipes that will introduce you to an entirely new genre of cocktails. I had the opportunity to ask Ms. Newman a few questions about her book and her experiences as a writer and mixologist. What is the very first cocktail you tried and at what age? Southern Comfort and OJ, at a college fraternity party, from a friend's flask. It was just incredibly sickly-sweet, but it was still better than drinking skunky beer. When did you discover your affinity for cocktails with some heat? I didn't know they existed until I started writing for Chile Pepper magazine. I think the first one I tried was a jalapeno-spiked Margarita - just a light touch, and it was wonderfully addictive. The drinks in your book are gorgeously photographed by Antonis Achilleos. Did you sample every drink before it was photographed? Thanks, I love the photos too! Sadly, no, I wasn't there for the photo session. However, I did test out Every. Last. Drink. for the book, either at home or at formal testing sessions with friends. (OK, they weren't formal for long). Do you ever request one of your cocktails when you go out for drinks? No, but I always scan the drink menu to see what they have with a little kick to it. When you don't order a drink with a little heat, what's your "usual?" It depends on the bar. I'm in a gin phase right now, and I love a good Corpse Reviver No. 2. But if it's not a "cocktail bar," I go for Bourbon and ginger ale, with a squeeze of lime. 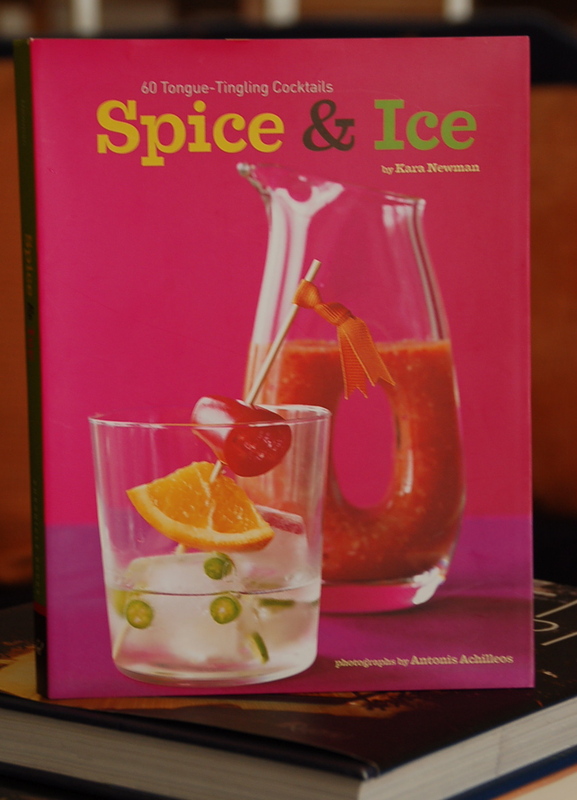 Which drink in "Spice & Ice" would you suggest for someone who prefers mild heat in their drink? Anything with ginger is usually a good choice - the Sparkling Ginger Daisy seems to be a crowd-pleaser, since it has just a gentle zing, and everyone loves bubbles. According to your website, a new book is underway. What can you share with our readers about your current project? Oh boy, you did your homework. It's not a cocktail book - it's about agricultural commodities, like pork bellies. It's called "The Secret Financial Life of Food," and the publisher is Columbia University Press. And after that... I have another cocktail book planned, but that's all I can say on that right now. What's one of the books that you've selected for your summer reading? I'm reading "Cosmopolitan," by Toby Cecchini. He signed a copy for me at Drink.Think (he was a featured reader), and I'm really enjoying it. The next time I'm in New York City, which bar would you suggest I head to right off the plane? Do I have to pick just one? I've been recommending Ward III in Tribeca lately. It's fun to challenge the bartender with their "Bespoke Drinks" menu. And they have a great spicy cocktail called "The Sweeter Heater." If I remember it correctly, it had bourbon, raspberries, and chile peppers. Maybe it was tequila. You might want to double check that one -- that was a long night.